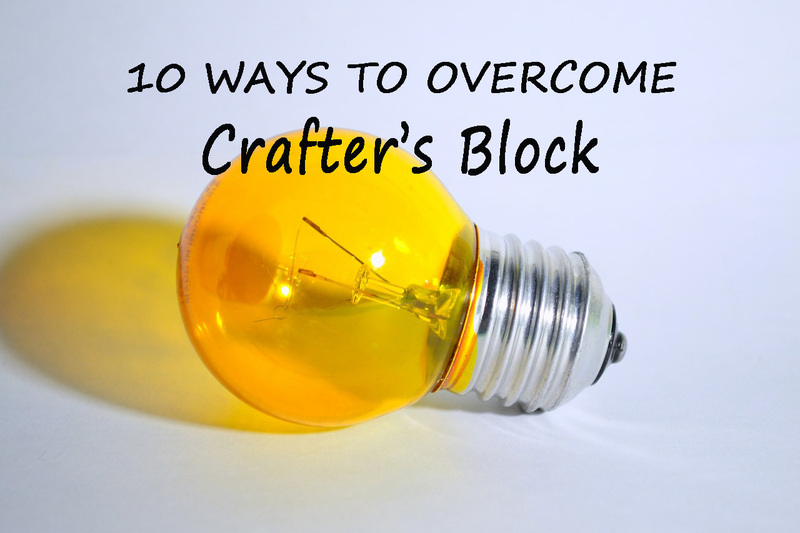 scrappin it: Crafter's Block - 10 ways to get over it! Crafter's Block - 10 ways to get over it! Every crafter has a creative block sooner or later. It comes without a warning. One day you are full of ideas, creating beautiful projects and the next...BAM! nothing, just a white blank with no ideas. At first you struggle with it. You may go through all of your craft supplies, maybe try to force yourself to create something – doesn’t matter what, just anything to get that spark back. But that almost never works because you can’t force creativity – you just can’t no matter how hard you try. But fear not my crafty friends, there are easy ways to end crafter’s block. 1. Leave it alone. It sounds counter productive and exactly the opposite of what you should do, but trust me it works. Try to something relaxing like a bath, a walk, a massage or even wash the dishes or do the laundry. This allows your mind to relax and not think directly about what you want. In a way you are distracting your mind so it relax enough to find its mojo back. 2. Pinterest. Visual inspiration is always a great tool for visual persons like us. Visit your favorite boards and check out the latest creations there. You never know what will catch your eyes. 3. Try something completely new. If you're a paper crafter try jewelry making and if you are a wood enthusiast try mixed media. When you open your mind to new artistic experiences you create new pathways in your brain and basically add more creative volume to it. 4. Join a challenge online. There are so many blogs and facebook groups that offer all kinds of challenges that can spark your creativity. 5. Go to the Craft Store. I could spend hours at Michael’s or Joann Fabrics. Take the time to go up and down each aisle just to see what other crafts are available. Buy a few new crafty bits while you’re there. Sometimes the smallest thing like a piece of ribbon or a bead can ignite a fire storm of creativity. 6. Challenge Yourself. Go through your craft supplies and select a handful of random items. Now make a project using only the items you’ve picked out. See how many different projects you can come up with using those supplies. 7. Use Quotes: I find quotes to be very inspiring. A few words always make me think in visual images and give me great ideas for projects, especially art journal pages. 8. Social media: join a swap, ask your friends to come up with ideas for small projects you can create, or check out DT projects from your favorite companies. 9. Cook something new. Cooking, baking and preparing food is creative. One creative path will take you to another path ans will open your mind. How do you keep that creative spark alive? Tell me what you do to get over crafter’s block. Love all these ideas. 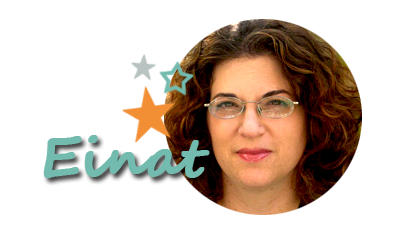 Thank you, Einat, for this informative blog!